Buffalo Hearing & Speech Center’s Bridge Builders Preschool and Kindergarten Program that uses the Floortime-DIR Approach which focuses on the child’s strengths and emotional interests to challenge them to achieve social connection and reach their potential intellectual ability. Our small class size of 6 children and a multidisciplinary team that includes a Special Education Teacher, Teacher Aide, Speech-Language Pathologist, Occupational Therapist, Social Worker, Music Therapist and parents work together to meet the child’s needs and goals through individualized and/or co-treatment therapy sessions. All of our staff is coached and mentored in the Floortime/DIR Philosophy. In addition, the team works with the family to educate them on autism and ways to manage behavior and work with their child at home. The therapy rooms and classrooms are set up to provide students with a multi-sensory environment that promotes the child’s interests, relaxation, intellectual activity, therapeutic and educational needs. 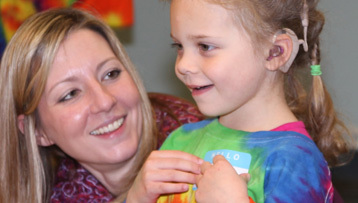 Buffalo Hearing & Speech Center’s Bridge Builders Program provides supportive, nurturing classrooms that focus on children’s social and emotional development using the Floortime Approach. Through a play based learning environment, children acquire important skills such as engaging with toys, sharing, and turn taking, in addition to using signs, words, or pictures to communicate with peers and adults. Activities and lessons are developed to capitalize on each child’s strengths while helping develop areas of need. Family training is offered to assist with challenges at home and/or school and maintain a positive working relationship with staff. Children may or may not have a diagnosis of autism to be enrolled in this program. 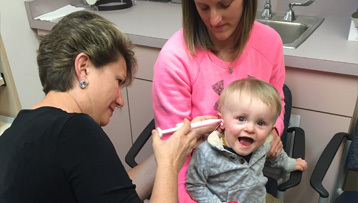 Buffalo Hearing & Speech Center’s Bridge Builders Program uses the Floortime Approach. This model is a comprehensive framework and intervention program that is tailored to the strengths and challenges of children with Autism Spectrum Disorders (ASD) and other developmental challenges. Floortime is a specific technique that follows the child’s natural emotional interests (lead) and at the same time challenges the child towards their greater potential intellectual ability and social connection. This approach also looks at the developmental, individual and learning relationships of the child. BHSC staff is specifically trained to work with children with developmental challenges or autism using this approach. The goal is for children to attain age appropriate communication, social/emotional, behavioral, educational, fine and gross motor skills. The classroom team consists of staff that has been trained and/or educated in the Floortime Teaching Approach. A multidisciplinary team providing services includes a Speech-Language Pathologist, Special Education Teacher, Occupational Therapist, Physical Therapist, Teacher Aide, Social Worker, and Music Therapist. Intensive therapy sessions are provided to achieve each child's Individualized Educational Plan (IEP) goals and objectives. Children are engaged in activities that are highly motivating, socially interactive and hands-on. A wide array of materials and equipment assist in maximizing children's learning. Parents play an extremely important role in their child's program. Parent training and support is included on a monthly basis to help families understand their child's disabilities and education. The program curriculum is in alignment with the New York State Common Core Standards. Children take the lead by choosing activities/toys of interest to them. 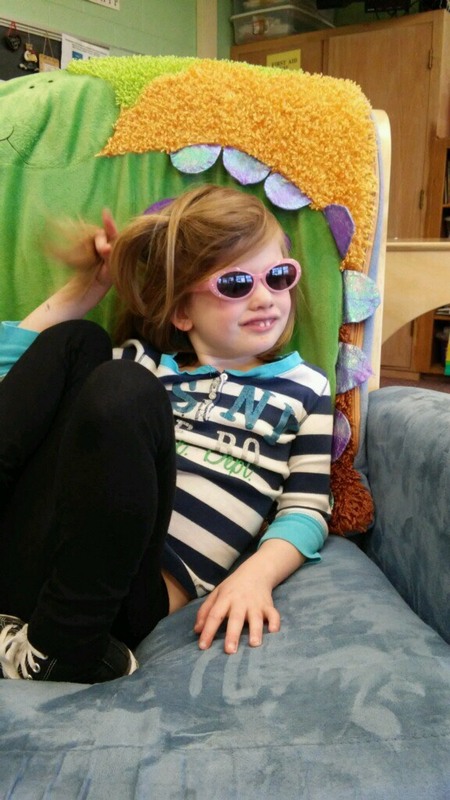 Sensory integration is a key element of the program. Establishing social awareness and interactions lead to meaningful learning. How can I get my child enrolled in this program? Children ages 3 to 7 years, with communication and/or developmental delays who are in need of special education services may be eligible. If you have concerns about your child's development or would like to inquire about an evaluation, contact the Committee on Preschool Special Education or Committee on Special Education of your local school district. For more information about the Program or to learn more about the process of enrollment, please contact our Early Childhood Program at 885-8318.